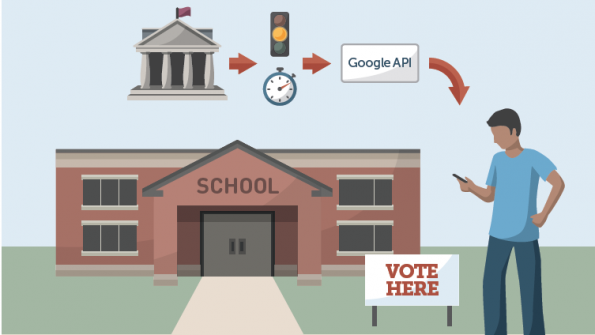 Seven states were recently honored for their participation in an open-data voting program, the Voter Information Project, offered by Google and the Pew Charitable Organizations. Seven states were recently honored as election innovators for their use of open data technology to better serve voters before and during the election process. Google presented awards to Iowa, Minnesota, North Carolina, South Carolina, Utah, Virginia and Wisconsin for their voter innovations during the recent National Association of Secretaries of State 2015 Summer Conference in Portland, Maine, according to a Pew Charitable Trusts media release. The states were honored for providing constituents with up-to-date, open-source tools for polling places and ballot content made available through the Voting Information Project (VIP). The project began in 2008 as an effort to enhance open data for the election process in participating states. In 2014, VIP data was accessed through Google Civic Information API, an application that allows voters to map their representatives and search for other voting data, nearly 31 million times during run-off and general elections. Iowa Secretary of State Paul Pate accepted the award for his state's contributions to VIP, according to the Centerville Daily Iowegian. Iowa's contributions to voter open data include programs like Caucus 101 and Honor a Veteran with Your Vote. For more on participating in the Voter Information Project, visit the website here.